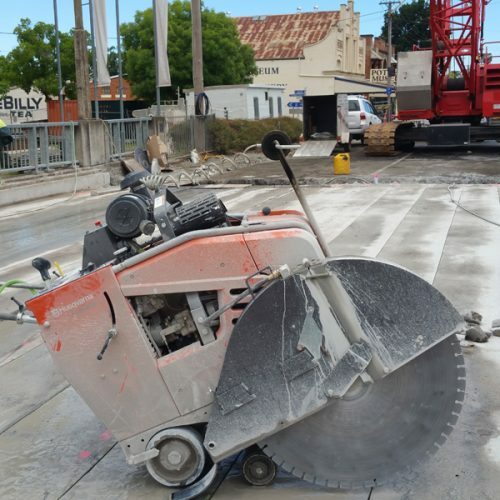 Inland Concrete Cutting is a privately owned and operated business servicing the North-East Victorian and Southern New South Wales region (including Wagga Wagga and surrounds) in Australia. We are equipped for commercial, industrial and residential concrete cutting and drilling. Inland Concrete Cutting has grown steadily over the years to become a trusted and customer focused business. Our operators are fully trained in all facets of concrete sawing and drilling. We are available 24/7 to enable us to complete all projects including those that may be challenged by curfews and site access restrictions. We have operators based in Wodonga that can provide specialised cutting and drilling to all depths and diameters. We provide a free on-site inspection service, designed to help our customers develop a safe and efficient method of carrying out some of those more difficult projects, including wall penetrations, floor penetrations and slab removals. Inland Concrete Cutting can be of assistance with any concrete cutting and drilling process for your company. Our expertise, professionalism and focus on safety ensures that you, become our priority and receive efficient and quality work with personalised service.